I love scones. Here in the U.S., before going gluten-free, I would occasionally buy scones. Cranberry orange were a favorite choice, but I also liked the ones with other flavors. My husband always thought of dry and crumbly when he'd hear "scones," so didn't usually indulge in my purchase. Until recently, I hadn't eaten a scone in more than two years. 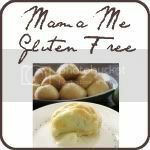 This month's Gluten-Free Ratio Rally challenge was for scones and I immediately began thinking of fantastic ways to create a delicious sweet treat for you. 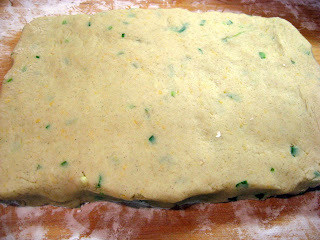 Taking that into consideration, it surprised me when my mind persisted in telling me to create a savory scone. 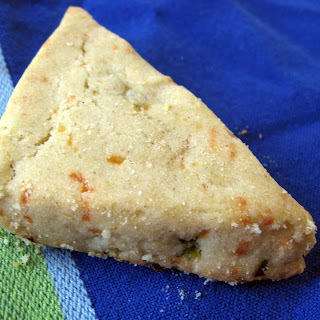 A savory scone? Is that even allowed? My mouth was watering thinking of it, so I knew I must attempt it and throw any convention out the window. Just this past summer, my mom brought a little cookbook from England (Favourite Lakeland Recipes by Carole Gregory ) and I remembered seeing a few scone recipes in it. I flipped through it and, much to my delight, there was a savory scone recipe. Ha! While mine doesn't really resemble that one, it gave me the official "go-ahead" I wanted. 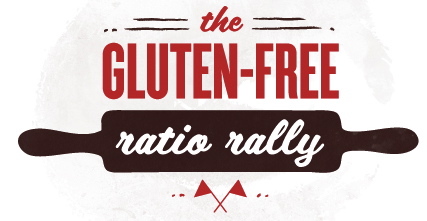 I got involved with the Gluten-Free Ratio Rally last month, its second month running. 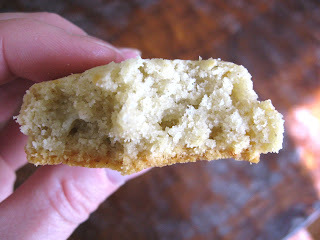 I explain a little about it and my reasons for getting involved in my Peach Poppy Seed Bread post from last month. Weight and ratio baking frees you. It gives you the freedom to create any combination of flavors you want, in nearly whatever baked good you want, with much less waste in experimenting. This month's rally is being hosted by Lauren over at Celiac Teen. (Thank you, Lauren!) Be sure to check out her ratio scone recipe, and she'll have all the other participants' links posted, as well. They all look amazing and you can be sure I'll be trying them out at some point! 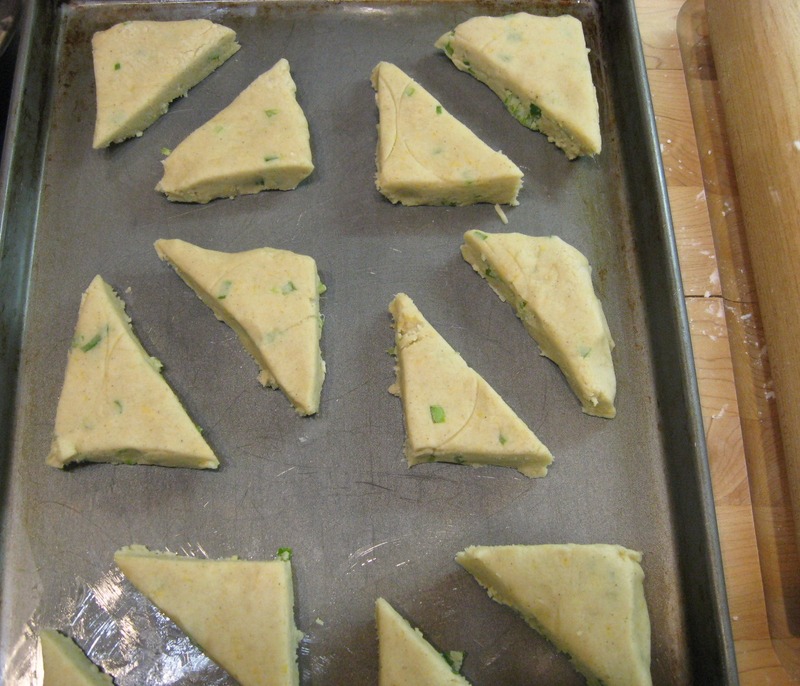 Last month, we based our quick bread recipes starting with Michael Ruhlman's quick bread ratio from his Ratio book . If you haven't gotten this book, please do so immediately. To ignore this book is limiting yourself in the kitchen! He doesn't provide a scone ratio, however, so we had to come up with this one on our own or base it off of other ratios. The ratio I came up with is based on the ratio I found in the "Wholemeal Scones" recipe from the Favourite Lakeland Recipes book I mention above. 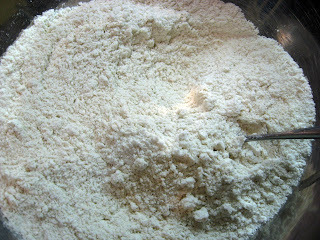 The ratio is 4:1:2, with 4 parts flour, 1 part fat, 2 parts liquid. I have to say right now that I feel kind of like a cheater for this month's rally post. Last month it took some experimenting and more than one try with the bread to get it the way I wanted. 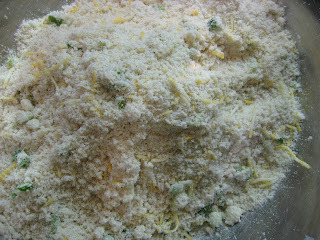 That's the norm in nearly any recipe I create. It's a rare and joyous occasion when a baked good I'm trying to create comes out just right the very first time. This was one of those times. I timidly stuck the scones in the oven, fully expecting them to be a crumbly mess when they came out, but hoping against hope that I might only have one or two small tweaks to make to get them perfect. Imagine my joy when they not only tasted amazing, they didn't fall apart when touched! I can tell you that it would not have happened if I hadn't been baking with weight and ratio. And they don't have xanthan gum. I've found gums haven't been necessary with weight baking! I fully intended to fix some soup for us to eat with the scones, but we ended up eating all of them as a snack and with breakfast/brunch. These came out so well that I'm now quite excited to try the very same recipe with some tweaks and make it a sweet one. The first sweet one will most definitely involve Nutella in some form or fashion. Preheat oven to 375 degrees and grease baking sheets (I used two). You'll want to bake on the very top rack if you are using a gas oven. Mix dry ingredients together with butter. I started out using my pastry cutter, then resorted to blending with my fingers. Add diced jalapeño (see note above about seeds), green onion and cheese. 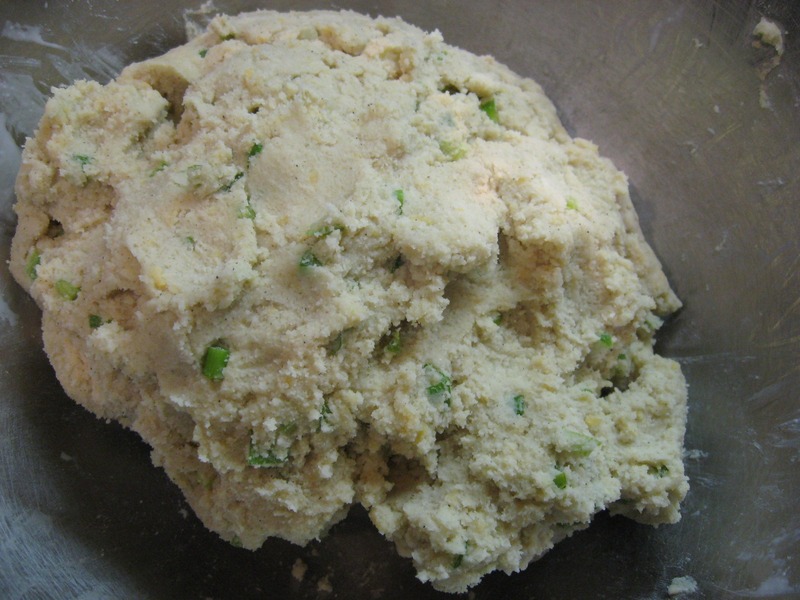 Add cream and mix together until a soft dough is formed. Maybe it was because I was hungry when I made these, but the dough even tasted great! 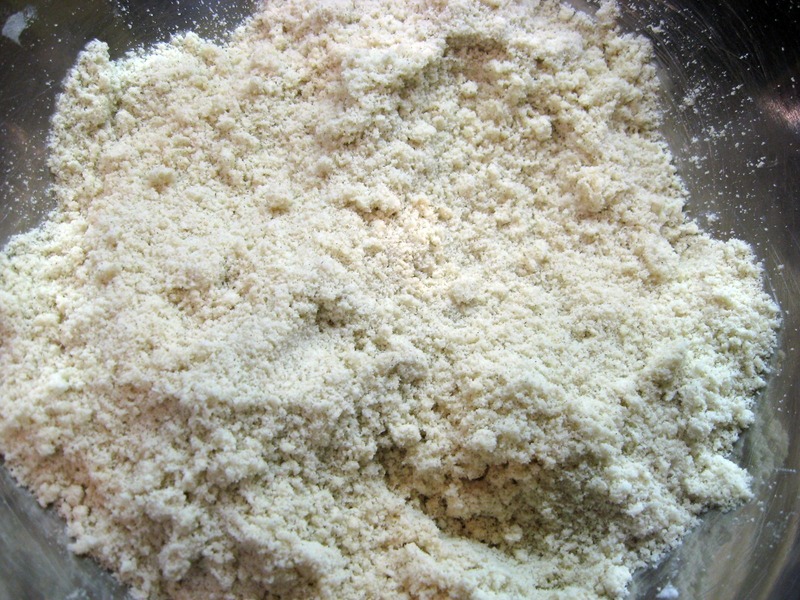 Roll out onto a floured surface (I used tapioca starch to sprinkle over my board) into approximately 3/4-inch thick. 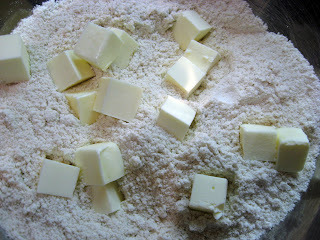 Gently transfer cut dough to greased baking sheets and brush top of scones with milk. 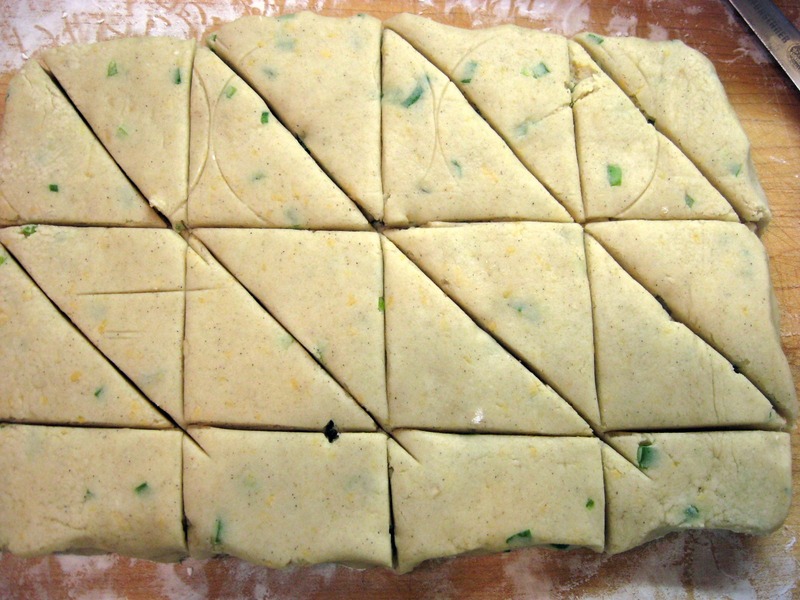 Bake at 375 degrees for 15-20 minutes. Don't forget if you are using a gas oven, bake on top rack. 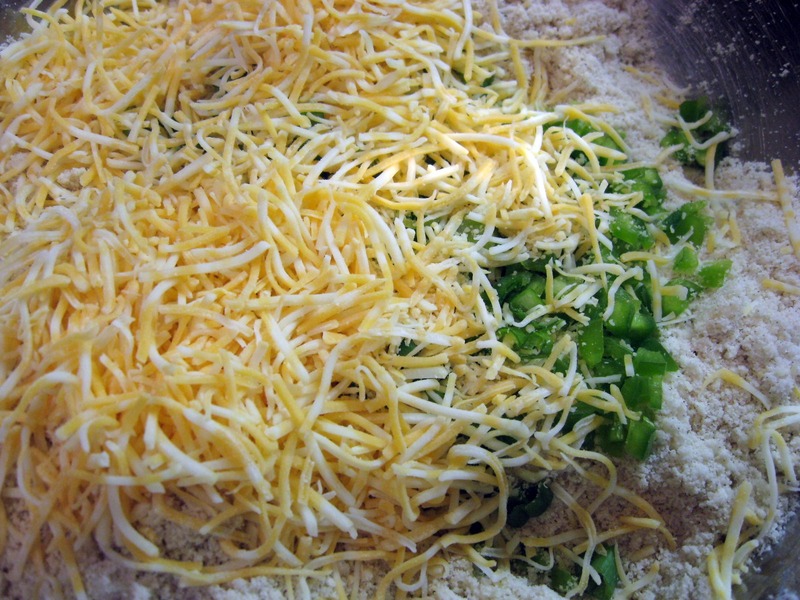 The bottoms should be golden brown, and the edges will probably be as well. The tops will be a light golden. Let cool. They will be less crumbly the longer they cool, but you should be able to pick them up and eat them hot without them crumbling very much. Don't forget to head over to Lauren's hosting blog post to see her scones and the fabulous recipes all the other participants have created! 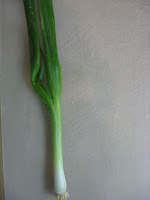 As a side note, our Gluten-Free Ratio Rally recipes this month are extra-special, in my opinion. First, May is Celiac Awareness Month. Second, today is also a really important day for those of us living the gluten-free life. The world's largest gluten-free cake is being built in Washington, DC today. Why? The FDA has been dragging its feet for several years on finalizing standards for gluten-free labeling. Countries all over the world have accomplished this long ago. People in the United States who have to eat gluten-free are waiting on the FDA to have their needs met properly. This cake building is to draw attention to the fact that the FDA has done a poor job in their task, to put it simply. For more information, check out the 1in133 website at this link. Also, the Washington Post recently came out with a good article on this subject. Click here to read it. 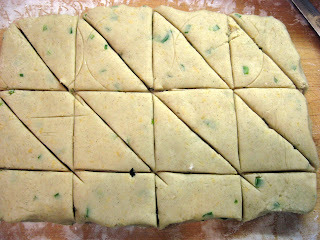 Now, in honor of these two great events, why not go try one of the delicious scone ratio recipes posted today? 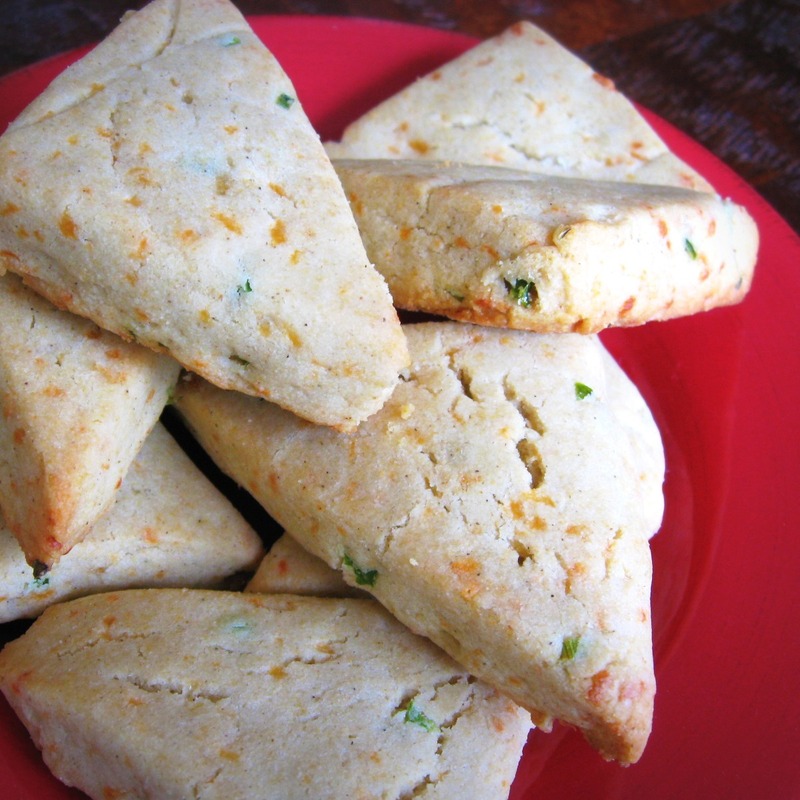 Your savory scones look amazing! Great texture and just plain beautiful! I love that you made savory scones. These sound delicious and turned out beautifully. The colors are so fun as well. This was such a fun event! Thank you - and it was a fun event. I'm loving the rally! Your scones look delicious, I do enjoy a savoury scone so I'll definitely try these. I also love clotted cream, in fact I took the scones challenge as the perfect excuse to stock my fridge with tubs of the stuff! oooo - that crumb looks fabulous! not easy to do. love these - and cannot wait for a nutella scone! 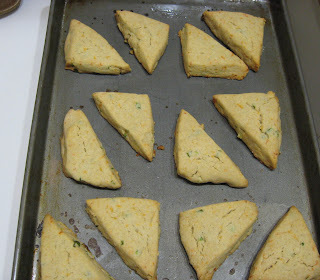 Savory scones...yum! They look perfect. gluten-freek - I think I'll need to do the same! Lisa - thanks! And I'm not sure how I'll incorporate the nutella whether baked in or somehow spread on top. It's happening though, and soon! Gretchen - I know! 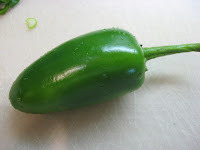 These will be served with my next batch of chili! These look awesome. 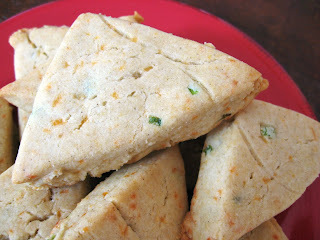 I love savory scones and they're perfect for Cinco De Mayo:) Very nice blog! I'm now one of your followers! Jenn - thanks! I'm loving all the different scone recipes that came out today! 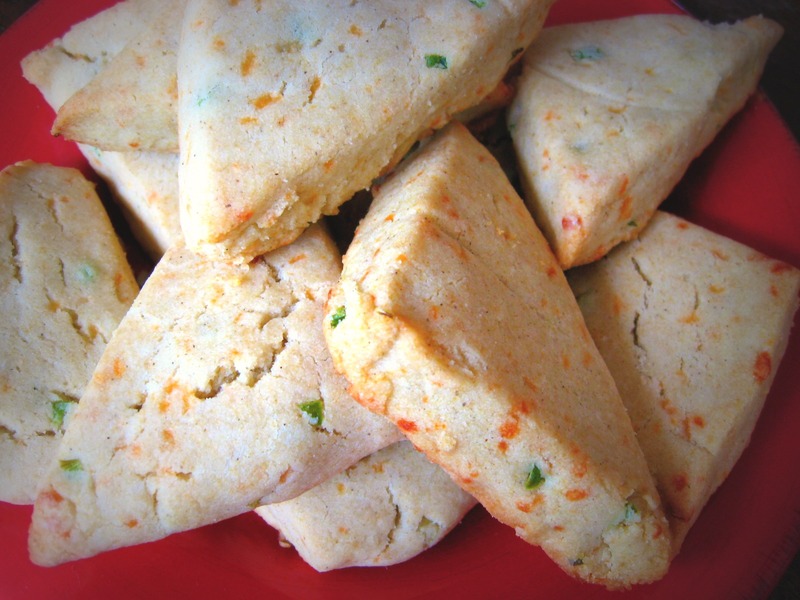 I now want these scones to go with some chili. They are gorgeous. Shhh. Mine came out just right on the first try too! :) I <3 ratios! Marla and Brooke, thank you! I wanted to try both of your scones as well - they look so perfectly sweet. I'm loving this rally! These scones look to light and lovely, I love the whole idea of savory scones - next time, this is what I want to try. And, thanks for including all of the excited things going on on the Federal level. Hopefully, more and more folks are paying attention. Oh lovely! Yay for savory scones! The cheese and jalaeño sounds like a fab combination. Glad you joined the rally! Melanie - thank you, and I hope so, too! Irvin - thank you. Your savory scones sound look amazing! I love savory scones! Probably more than sweet scones, in fact. 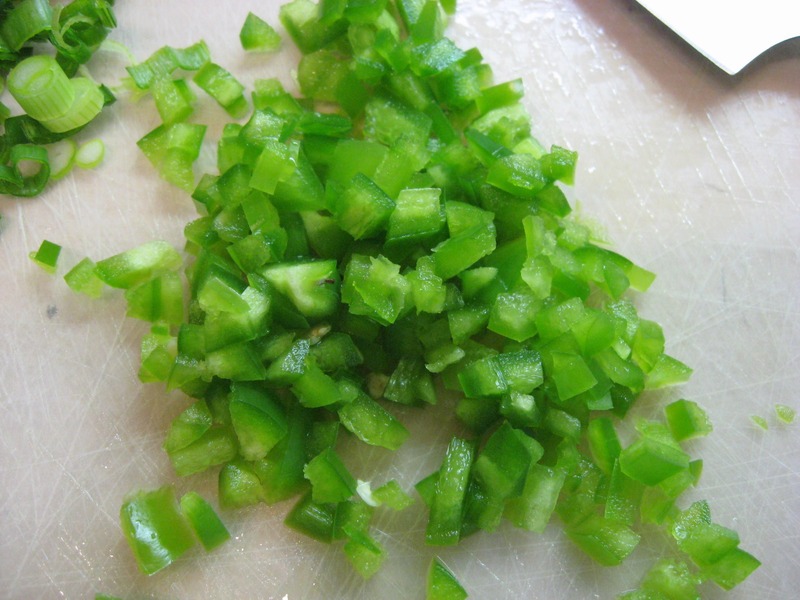 I like the sound of yours, with a little kick from the jalapeno. Also, I have to admit that I envy your first time success with a xanthan/flax/chia/egg-free recipe! I was hoping mine would work without a binder as well, but no such luck. Congrats to you! I'm going to try the all-cream at some point. I love those ginger scones you posted! 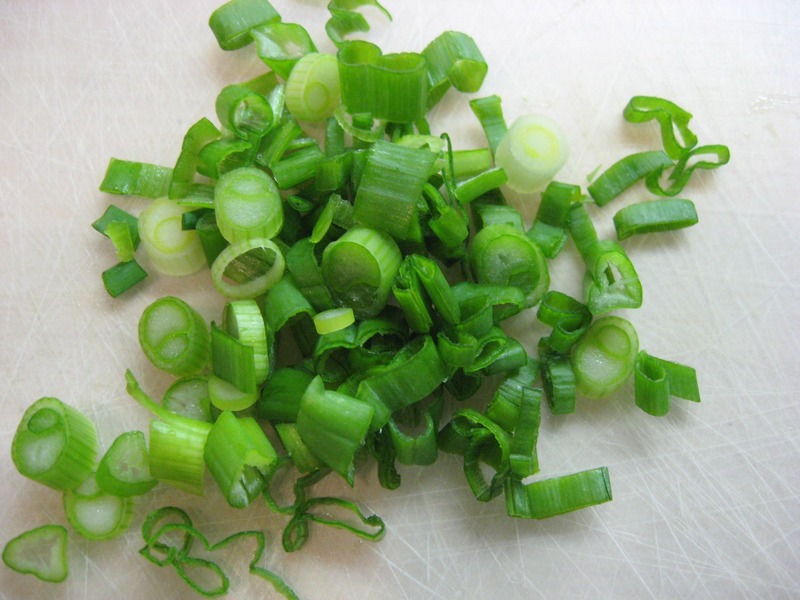 I love this recipe, I'm going to try making them this coming week! 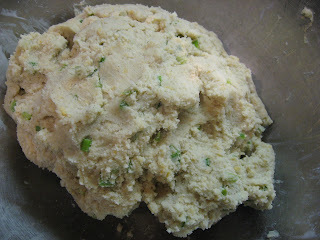 Thank you for your lovely comment on my scone recipe. I still want to tweek it a bit, but the yerba mate and the avocado/coconut oil will definitely stay. Also, your scones! *muah* Delish! T.R. - thanks! I was completely sold on the weight baking when my four-egg cake turned out perfect for the first time in 2 years - and without gums! I have that recipe posted, but it's not a ratio recipe (at least I haven't figured the ratio for it - it may very well end up being a good one)! Morri - thank you, and you're welcome. The flavor combo in your scones sounds amazing!